Samsung's mid-range model for AT&T, the Galaxy Exhilarate, offers peace of mind when it comes to carbon footprint thanks to its eco-friendly build. If you're worried that being green means fewer features and down-graded performance, set aside your fears. Find out why in PhoneScoop's full report. 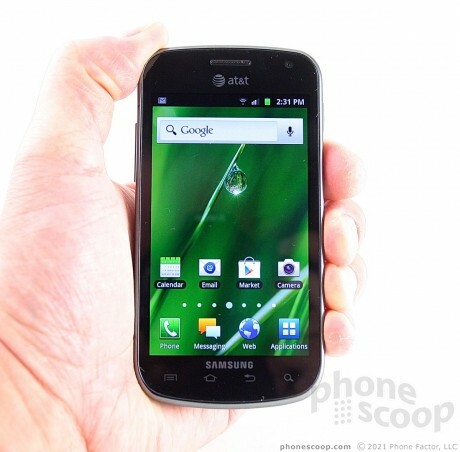 The Samsung Galaxy Exhilarate was first announced by AT&T in January. It's been a very long time coming, but now that it is here, Samsung's latest eco-friendly phone for AT&T is one of its best efforts yet at saving the planet one device at a time. The Samsung Galaxy Exhilarate doesn't aim as high as the Galaxy S III, but it provides enough oomph in the right places to make it worth consideration. AT&T today announced that the Samsung Exhilarate will go on sale June 10 for $49.99 with a new two-year agreement. 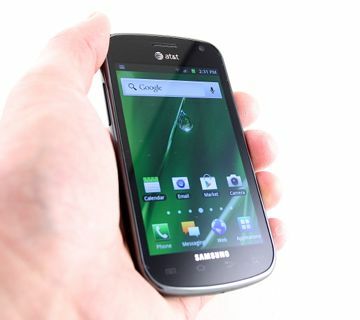 The Exhilarate, first announced in January, is an LTE Android smartphone with a 4-inch Super AMOLED display. Not to small.LTE Is blazing fast and the HSPA+ is allmost as fast as the LTE great price 399.99$ off contract. The HTC Vivid is also 399.99 no contract.